PM of India Narendra Modi opened a plant for production of 200-series Kalashnikov assault rifles, in Corva, Uttar Pradesh. The founders of the JV Indo-Russian Rifles Private Limited for production of Kalashnikov assault rifles in India are India's Ordnance Factory Board (OFB) and Russia's Rosoboronexport and Kalashnikov Group parented by Rostec. "The commissioning of the JV for production of the AK203 is by all means a milestone in our partnership under the Make in India initiative. The plant in Corva is one of the most advanced OFB's small arms enterprises already in operation. With production of 750 thousand pieces approved, major components for them will come mostly from India. Nobody has offered India such deep and thorough localization opportunity with a rather high production quantity involved and it is unlikely that somebody will in the near future. The capacity of the plant is sufficient to arm the personnel of all security agencies in India. Should it become necessary, the parties will be able to ratchet up the production output and upgrade the facility to manufacture future models based on Kalashnikov's unique design," says Alexander Mikheev, Rosoboronexport's CEO. All operations of Indo-Russian Rifles Private Limited are consistent with India's laws and regulations. Major milestones enroute to the JV include a Government-to-Government Agreement, shareholders' agreement, approval of the JV Charter, as well as registration of the enterprise in India. The 200-series Kalashnikovs were unveiled abroad in 2019. The weapons made their debut at IDEX 2019 in the UAE and Aero India 2019 in India's Bengaluru. 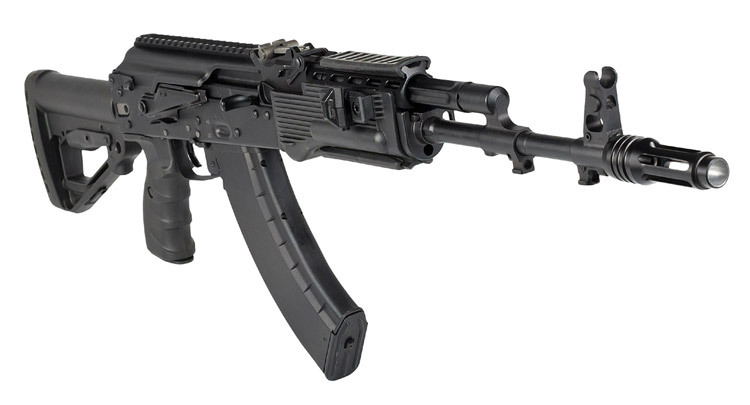 The new Kalashnikov inherited all advantages of the conventional AKs, reliability, durability, and maintainability. At the same time, they are fully consistent with modern SA requirements in terms of ergonomics and compatibility with hi-tech accessories. "India is the first country to have launched production of the 200-series of the world-famous Kalashnikov brand. We sincerely congratulate our Indian colleagues and citizens of Uttar Pradesh on this remarkable occasion, stressing a high level of trust and unquestionable strategic partnership between India and Russia in the defense and security domain," notes Alexander Mikheev.